Kitchen cleaning has always been one of the least desirable household chores one has to deal with. 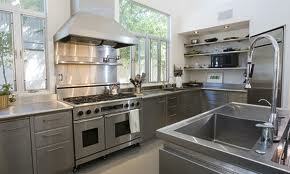 The kitchen is one area of the house which sees intense use and heavy foot traffic on a daily basis. In time, the kitchen starts looking tired and worn from the everyday use and requires many hours of scrubbing, degreaseing and cleaning, although not many people can spare the time to clean the kitchen properly. The best and easiest solution to the problem is to book yourself a session of professional kitchen cleaning London domestic companies provide quality, cost-effective kitchen cleaning at your convenience. The service is extensive and covers all items in the kitchen. The cleaners will clean all appliances, cupboards, cabinets, bench tops and the rest. The kitchen floors will be cleaned and polished to a professional finish. The quickest way to have the kitchen spotless is to get online and use our website to book your kitchen cleaning London is serviced seven days a week. The kitchen cleaning service is designed with flexibility and convenience in mind, it is designed to fit around you and your schedule. We understand that your time is too valuable to be spent supervising the cleaners so we guarantee a quality job with minimum hassle. Each of our cleaning teams is properly equipped for the job at hand and will perform exceptionally well on every job. There will be no corner cutting, skipping of items or missing areas, the cleaners are professionally trained and have sufficient prior experience to get the job done right. Should the need be there, the cleaners can follow a kitchen cleaning checklist provided by the customer, which contains specific items or areas of the kitchen requiring special or additional attention. Once the session has been completed, all appliances will be returned to their places, the kitchen will be tidied up and ready to use. So, now you where to go for customer orientated, quality and efficient kitchen cleaning London households can also enjoy flexible appointment hours.